Pioneers in the industry, we offer zinc door handle and zinc cabinet handles from India. Owing to the presence of our highly skilled team members we are able to offer our clients a designer array of Zinc Door Handles. Smooth touch and embossed designs of these Zinc Door Handles easily attracts the viewers. These Zinc Door Handles are made from premium quality metals and offer long service life. 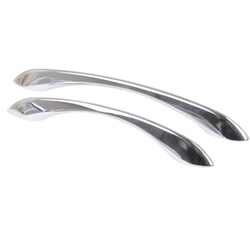 We specially take care for the budget of our clients and offer these Zinc Door Handles at most reasonable rate. Customers can avail from us a wide range of Zinc Pull Handles, in various sizes, shapes and designs as per their specifications. 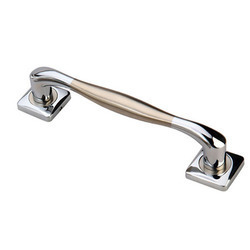 These Zinc Pull Handles are offered with brass polish that makes these very stylish and unique in look. Zinc Pull Handles offered by us are crafted and deigned by our expert craftsmen who assure us for the sturdy construction of these Zinc Pull Handles. We offer our Zinc Pull Handles at most reasonable rate. Looking for Zinc Door Handle ?